Craig W. Luce, age 69 of Oxford passed away peacefully at home with his beloved wife, Claire and family by his side on July 26, 2018. He bravely battled stomach cancer for 19 months with grace and dignity. Craig was born in Bridgeport CT on November 22, 1948, son of the late Ruth and William Luce. He was a graduate of Stratford High School class of 1966. Craig worked for Sears and Roebuck for 30 years in various stores in CT. His first position at Sears was a gas attendant at the Bridgeport CT store and after 30 years he retired as an Operations Manager. He worked for West Chevrolet in Woodbury, CT. and changed careers to be a Financial Advisor for Met Life and New Alliance/Key Bank. After taking time off, Craig drove a school bus part time for All Star Bus Transportation in Oxford. He truly enjoyed driving the bus and all the students he drove. Craig loved playing golf with his wife Claire and his golf buddies from the Oxford Greens Community where he lived and “couples” golf with the neighborhood on weekends. He loved watching his favorite baseball team the Mets as well as golf on TV. He enjoyed daily walks, working outside and doing “handyman” jobs for the Oxford Greens Community. He truly treasured spending time with friends and family. He especially loved playing with his loving grandchildren, Breeah and Maddox and taking them different places as well as out to eat. He enjoyed golf trips, vacations to Myrtle Beach, Colorado, the Islands and many other places. In addition to his wife (Claire Rich) of 49 years, he is survived by his 2 loving sons and daughters in law, Michael Luce (Sonya Fata Luce) and Jason Luce (Joanne Fox Luce) his treasured and loving grandchildren, Breeah and Maddox, and his grand dogs Otto and Lollo all of Oxford, CT. He is also survived by his sister, Sharon Abernathy of Denver, CO and several nieces and nephews. He was predeceased by his parents Ruth and William Luce and sister Susan Tolman. Craig will be missed by everyone who knew him. He liked everyone and got along with everyone he met. I know you will all miss is quirky jokes!! Visiting hours will be held on Tuesday from 4-7 PM at the Ralph E. Hull Funeral Home, 161 Church Street, Seymour. 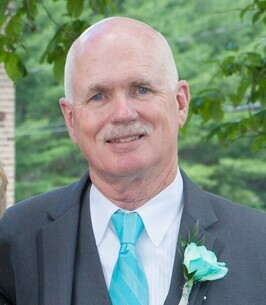 Funeral Services in celebration of Craig's life will be Wednesday at 10 AM at the funeral home, Interment will follow at Southford Cemetery, Oxford, CT.
To plant a tree in memory of Craig W. Luce, please visit our Heartfelt Sympathies Store. PLEASE NOTE: Mr Luce's funeral service is on Wednesday morning, August 1, 2018 at 10 a.m. at the funeral home. ALSO: At the request of his family flowers are to be omitted, and would prefer Memorial Donations be sent to the Smilow Cancer Hospital in Nerw Haven, CT.
Dear Claire, Our hearts are so broken as we offer our most sincere and deepest condolences. In the years that we have known your family, Craig has always presented himself as a true gentleman. It was always so obvious how much he loved you and his devotion as a father and grandfather was unquestionable. He will be missed by many, but certainly not forgotten. Please know you are all in our thoughts. -Perry and Rose.